Stranger Things returns to Netflix October 27. S U R V I V E's Kyle Dixon and Michael Stein are back to bring their synth sensibilities to the Season 2 soundtrack and the first track called “Walkin’ in Hawkins" has premiered. 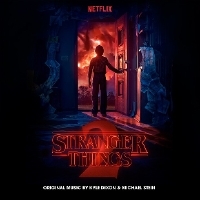 The Season 2 soundtrack will be available digitally on October 20 via Invada and Lakeshore. CD, vinyl, and cassette releases will follow. 31 What Else Did You See?